Be Quiet, you wouldn't want to wake them up. Be Nice, you wouldn't want to make them mad. Be Afraid, they're waiting for you. The Fernvale Orphanage will take great care of any lone souls out there in need of care. Do you need care? You do, don't you? 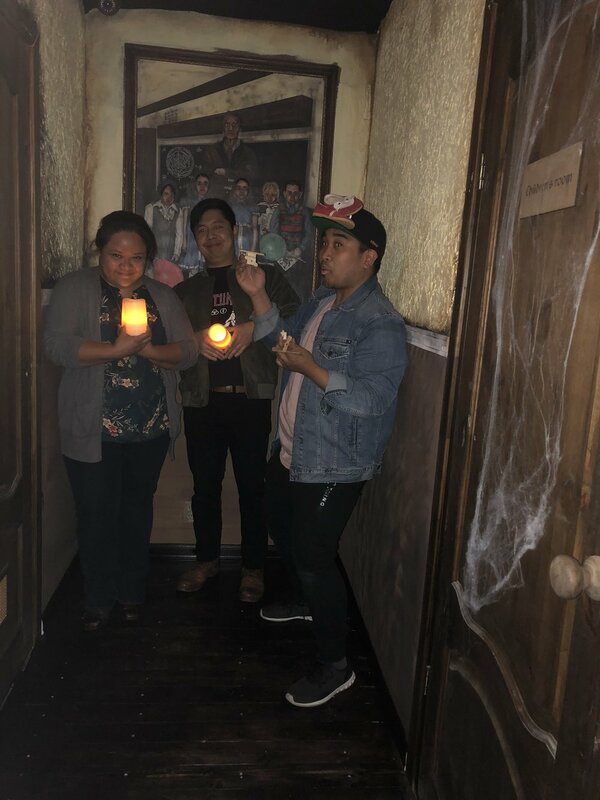 After doing Nautilus, my group wanted to do 60out's other escape room at their new Korea Town location. Although it was scary, we were up for the challenge. So we thought anyways. This room is creepy AF. One of my group members had their ears covered the whole time because of how creepy it was. The illusion of someone in the hallway when no one is there, together with the music made the experience haunting. The room was very well made, ESPECIALLY the last room. It was a beautiful sight and not that scary. The puzzles were just "okay". We didn't understand how some of the puzzles related to the story. We also had to scavenge the room to see if anything changed or was revealed when we completed a puzzle. The transition between puzzles was uneventful and not exciting. It was just creepy. One of the puzzles in the last room requires you to look at the details.